Taniah’s single mom was going to school, working full time, and raising her three kids. 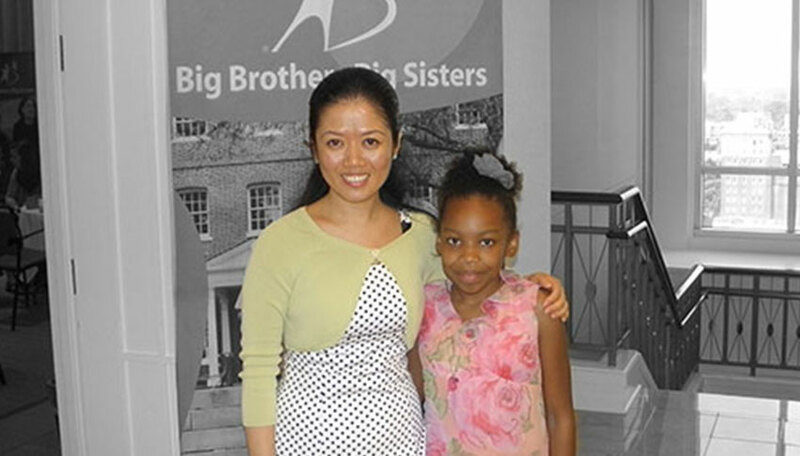 She knew her children needed more adult role models, so she enrolled all three as Littles at BBBS Services, Inc. in North Carolina. Big Sister Angie was dealing with a sort of homesickness. She felt like something was missing in her life because she wasn’t giving back. “People can usually fulfill that need by giving to their family members,” she says. “However, as a first-generation immigrant and with the rest of my family in China, I didn’t have that luxury.” She tried other volunteer opportunities in her community, but nothing allowed her to genuinely connect with the people she was helping. Big Sister Angie and Little Sister Taniah have played countless games, run in the 5K Color Run, put on fashion shows, and danced to every kind of music. Angie also makes sure Taniah has the opportunity to explore what she might want to study in college, and what kind of career she might want to have as an adult. Angie has also allowed Taniah to visit her job and see what she does every day. “Opportunities like that show Taniah that she can be successful,” Taniah’s mom says. Not only does Angie sometimes tutor Taniah, she also communicates with Taniah’s teachers, attends Taniah’s school concerts, and teaches her about where her family lives in China. Taniah is excited to learn about the culture of where Angie is from. “Angie has introduced me to her culture by teaching me how to speak Mandarin,” Taniah says.